Much has been said about the tension between good nonprofit marketing & communications and good direct response fundraising. Good nonprofit marcom thrives on brand consistency; good direct response thrives on brand inconsistency. But when you get right down to it, good nonprofit branding/marcom is actually an essential prerequisite to good direct response fundraising. That’s because an organization must have a clear sense of self to communicate effectively. A strong voice, confident look and feel, a structured communications program, clarity on priority messages, a personality…. These are all things that come out of good marcom – not direct response – and get better defined over time. If they’re any good, your organization’s direct response staff or agency will lobby to break from all that at times for better direct response results. They’ll argue for less perfect and more human. But rest assured, they only want to depart from brand technically. Agents of good direct response are deeply loyal to true brand. In fact, we are lost without it. So if you want your direct response fundraising to thrive, begin with a well developed brand. Then break it, but not really. The DMA Nonprofit Federation’s annual Washington Nonprofit Conference kicks off on Thursday. With information-rich sessions from leading direct response fundraising minds in the field, it’s well worth making time in your calendar and budget to attend. For the past 10 months, Craig Zeltsar, Tricia Reyes and I have been working behind the scenes with an incredible planning committee to ensure that the 2013 conference is no exception. In fact, I’m blown away by the originality of the session topics, the caliber of the content, and the networking opportunities that the Washington Nonprofit Conference has in store this year. 1. Check out the “Not-Your-Usual-Roundtable” discussions. This year, we turned the tables on the usual roundtable format and energized them with new topics to rev up the conversation and get your ideas flowing, like … Help! My Board Totally Doesn’t Get Direct Response Fundraising, 50 Shades of PMS 429, and I Am Not Sorry To Call You During Dinner. 2. Get to the ballroom at 9am sharp for the keynote address from Katya Andresen (Network for Good, Katya’s Non-Profit Marketing Blog). Katya will be talking about what technology can and can’t do for fundraising. Plus toast and butter. 3. Use your networking stickers. Be sure to stop by the information desk and pick up a set of networking stickers. Who do you want to meet at the conference? What’s your favorite movie? Put it on your sticker, wear it, and strike up a conversation with a colleague. 4. Go for an early morning run (or a walk). Join your colleagues on Thursday morning for a scenic 4-mile run/walk in the nation’s capital for a healthy start to a big day of learning and networking. 6. Check out the Gallery of Breakthrough Fundraising Campaigns. During the conference, you’ll have a chance to view innovative multichannel fundraising campaigns – and vote for your favorite. Voting ends at Midnight February 7 and the winner will be announced at the closing luncheon on February 8. 7. Go to the networking reception at The Carnegie Library (6:15-7:30pm, 2/7). Wind down after the conference and catch up with colleagues at the Carnegie Library networking reception (pre-registration required). 8. Join the conversation. Share what you learn and keep up with the conference by following the DMANF on twitter @dmanf and via hashtag #DCNP2013. Be sure to check out the full list of sessions and networking opportunities. Hope to see you there! The start of a new year is a great time to weigh up your membership program’s strengths and challenges and set a course for new and improved direct response strategies. But just like resolutions that people make, it’s all too easy for nonprofits to set unrealistic goals and, worse, neglect to build the necessary foundation for achieving those goals. It’s great to want to raise more money online, for example, but unfortunately good intentions alone aren’t enough. You need a plan. When making resolutions for your new and improved direct response program, the key to success is choosing things that a) can really make a difference for your bottom line and b) you can implement. That means stay away from vague resolutions with unpredictable impact (e.g “let’s do something online that goes viral”). Focus instead on specific, implementable opportunities for building donor relationships and raising more funds for your organization’s important work. 1. Ask for money less often relative to the number of times you communicate with your supporters. What? Ask for money less? Of course not. But DO communicate more. If you want to strengthen your fundraising program, you have to strengthen your communications program. 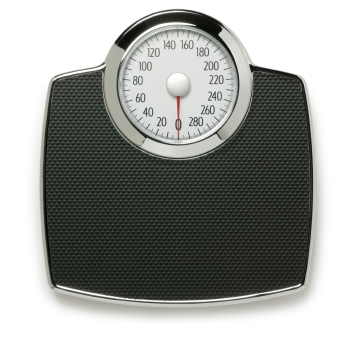 Take a hard look at your fundraising to issue-based communications ratio and resolve to improve it in 2013. Ideally, for every one fundraising communication, you should be generating at least three to four issue-based communications. In addition to helping build stronger relationships with your constituents, more communications online will give your organization a bigger online footprint and drive more traffic to your organization’s website. 3. Make time in your calendar and budget for key fundraising conferences. For ideas, information and case studies for improving your direct response program in 2013, get up from your desk and get out to the conferences. I still think the best information and ideas can be found at the NTEN, Bridge and DMA conferences, and are well worth the time and budget. And if you are short on budget, the DMFA has just launched an excellent scholarship program that might be able to help offset or even completely cover your costs of attending these or other excellent educational opportunities. 5. Make data analysis a priority. To make meaningful strategic resolutions that will move the dial for your program, you first need to understand your donor file and trends. Roll up your sleeves and look closely at your data. Are you losing donors at a faster rate than you’re gaining them? Are fewer donors giving more or vice versa? Get a strong grasp on what’s going on with your file to set meaningful goals for how to improve results – and don’t forget to measure your results to see if your strategies worked. No matter what your organization’s unique fundraising resolutions may be for 2013, keep them bottom-line oriented and realistic and you’ll be sure to make an impact. Here’s to your fundraising success in the year ahead! It rarely pays off in direct response fundraising to wait until you have the perfect words, the perfect design, the perfect data. The secret is showing up. In email, direct mail, online, on the phone. Make a plan and stick to it. Don’t cancel. Just show up. The more you do, the better you’ll get at it. And the better your results will be in the long haul. The Bridge Conference, one of the must-attend conferences on integrated nonprofit fundraising and communications, kicks off on Wednesday, August 8. The annual gathering co-produced by the DMAW and the DC Chapter of the AFP brings together 1,400+ people who share a common interest in stellar nonprofit marketing, fundraising and communications. If you haven’t already registered, you still can. And I hope you’ll join Chris Helfrich of the UN Foundation’s Nothing But Nets campaign, Dennis Lonergan of Eidolon Communications, and me bright and early Wednesday at 8:15am for our boot camp on multichannel fundraising creative. We’ll be covering best practices in multichannel fundraising and sharing a lot of samples to give you ideas for how to start or jump start your own multichannel efforts. So drop by in person if you can, and be sure to check back here later in August for a recap of our session. Hope to see you there! When have bullet points ever made you think “Wow!”? Or made you stand up and say “I need to do something about this!”? When have they ever made you cry? 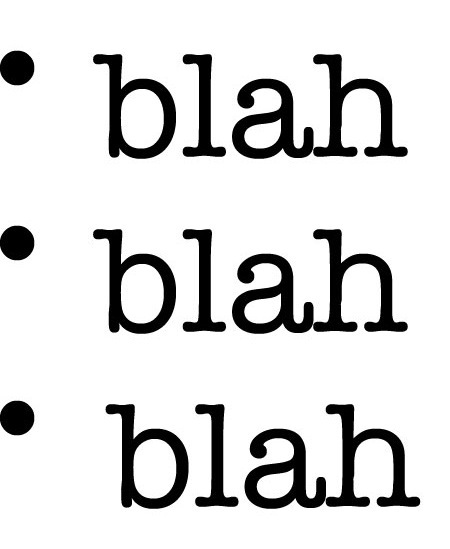 Bullet points are the blah blah blah of communication. They convey information to our donors but they don’t connect. Online giving is the fastest growing direct marketing fundraising channel for nonprofits, but direct mail still accounts for the vast majority of funds raised. Of the nonprofits included in Target Analytics’ 2011 donorCentrics™ Internet and Multichannel Giving Benchmarking Report, direct mail comprised 79% of giving, while online accounted for just 10%. Ask early and often. State your first ask on the first page of your letter, and reiterate it throughout your narrative. Write a long letter. Two pages should be your minimum, four is often better than two, and six or more can be even better. Never send a one-page letter. Include a reply device with a concise, compelling recap of your case for support and call to action. Personalize your gift ask based on the donor’s previous giving. Get your website in order before you mail. Studies continue to affirm the significant impact of direct mail in driving online donations. A recent study conducted on behalf of Dunham+Company by Campell Rinker showed that 17 percent of donors who gave on a charity website in 2011 said that a direct mail letter prompted their online gift. Moreover 50 percent of donors surveyed in 2012 said they prefer to give online when they receive a letter in the mail from a charity. Tell stories that demonstrate human impact and connect with the reader on an emotional level. Don’t be afraid to lose the teaser. In many cases, a teaser-free envelope will work better than an envelope with one, and it will always work better than an envelope with a forced (a.k.a. mediocre) teaser. Spend as little as possible on your direct mail. Make your fundraising message about the donor, not about yourself. Mail when everyone else is. It may be tempting to send your year-end appeal ahead of everyone else to avoid mailbox competition, but in reality it’s not an advantage to be in the mail when other organizations aren’t mailing. 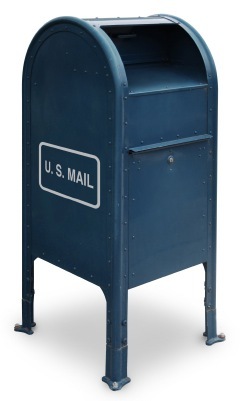 Your mail can get just as lost in an empty mailbox as it can in a stuffed one. Mail when your donors want to hear from you. Test for impact. Only test things that you think have the potential to make a real difference in your program. If you can’t think of a meaningful test, think harder. Include a P.S. in your letter that restates the ask and call to action. Keep your design simple. Direct mail isn’t advertising; it’s letters. Keep your direct mail under an ounce unless your audience dictates greater investment in postage. Check your instincts at the door. Good direct mail is counterintuitive; rely on known techniques and best practices to guide your strategy. Look critically at how often you are mailing to identify missed opportunities, and then consider mailing more. For example if your newsletter raises as much or more than your direct mail, then you’re probably not soliciting often enough by direct mail. Or if you are still netting revenue on the last notice of your membership renewal series, then you should add a notice. Target your messages. No matter how great your letter is, if you mail it to the wrong lists/segments, it will bomb. Above all else, get the mail out. 90% perfect and 100% on time is always better than 100% perfect and 90% on time. Give. You can’t fully appreciate the direct mail donor mindset unless you yourself are one. Plus it feels great helping nonprofits you care about! Quiz: How Integrated is Your Organization’s Direct Response Fundraising? Integrated direct response fundraising has long been the pursuit of forward-thinking membership and development directors. But integration remains an ongoing challenge for most organizations – almost always for the same two reasons regardless of an organization’s size, funding, or mission. The channels like to change and organizations … don’t. Still, some organizations are much further down the path than others when it comes to un-siloing their programs. What is it about them? What are they doing differently? And are you one of them? 1. Is your organization web-minded? When we talk about integration, for the most part we’re talking about direct mail-dominated programs figuring out how to communicate online. In this sense, the integration discussion today is really about established organizations adapting to the times. And so it’s no surprise that the organizations that tend to be more integrated also tend to be more “webby.” Their dynamic websites, email communications and social media presence are an integral part of their overall membership development mix. 3. Is your organization nimble? Seriously. Multichannel integration demands a streamlined decision-making and approval process. Organizations with well-integrated fundraising and communications programs are able to get online, on the phones, and in the mail just about as fast as they can develop and implement their creative and strategy. That’s because they aren’t held back by unwieldy approval protocols and departmental territorialism. They’re nimble. N.B. : the bigger the organization is, the harder this becomes. But big organizations with well-integrated programs know this, and they work on it. 4. Do your Development, Program, Marketing and Communications departments connect regularly, collaborate and coordinate? See #3. 5. Does your organization value and foster originality? There’s no absolute formula for channel integration, and what works one season may not the next. 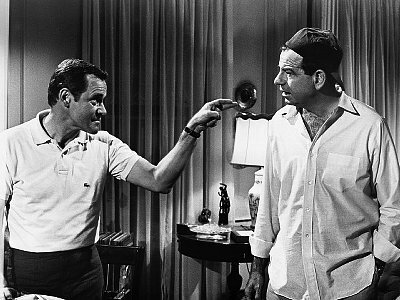 So having a well-integrated direct response program means being comfortable without a playbook and, better yet, enjoying writing and rewriting your own. It also means continually figuring out new ways of combining media, measuring results, wrangling production and technology, and creating pathways to engagement. So how does your organization rate on the integration scale? If you answered “yes” to 3-4 of the above then you’re doing great! Be sure to share your experiences with other organizations that could benefit from your advice and could even use it to overcome internal obstacles to integration that they may be facing. If you answered “yes” to 2 of the above, you’re on your way. For most organizations integration requires a significant culture shift, and that takes time. Continue to involve your whole organization in your program’s evolution, share your successes with all departments, and keep building on your progress. If you answered “yes” to 1 or 0. You have some work to do, but the good news is there’s a wealth of information available from nonprofits that have tackled and overcome all kinds of integration challenges. In fact, the best national conference on integrated fundraising – the Bridge Conference in Washington DC – is coming up this summer from August 7-9. It’s a great place to get new ideas for channel integration, meet other nonprofits and hear valuable case studies. If you can, I hope you’ll stop by my session on integrated communications (8:15 sharp Wednesday) with Chris Helfrich of the Nothing But Nets campaign of the United Nations Foundation and Dennis Lonergan of Eidolon Communications. And if you answered “yes” to all 5 of the above then I’m pretty sure you’re a fictional organization … but I can’t wait to meet you in a few more years! The DMA Nonprofit Federation’s annual DC Nonprofit Conference wrapped up last week sending 600+ npdm’ers home with ideas and inspiration for their 2012 campaigns. The conference covered a variety of issues and strategic considerations in nonprofit direct marketing, but a few themes dominated this year’s conference both at the podium and in the hallways. 1. 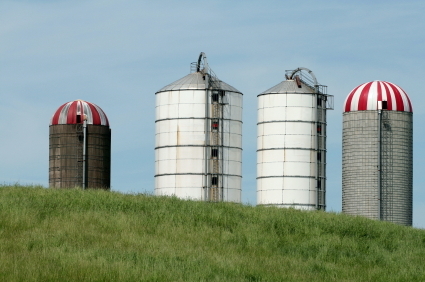 Breaking down silos. Nonprofits have been talking about this a LOT at conferences for the past few years. Though the lines between marketing, communications and fundraising have become blurred lately, the walls between those departments are still rigid in many organizations. And nonprofits are still struggling with how to break them down and to weave departments and disciplines together. Amy Barriale presented a case study on how the African Wildlife Foundation overhauled its direct response program structure to better reflect the interdisciplinary realities of donor/membership development. One of the organization’s biggest changes, an excellent one, was joining its separate online and direct mail fundraising departments under a single umbrella: Membership. 2. Taking action ourselves, in our field. We routinely call our organizations’ donors to action, and we take action ourselves as donors, but few of us think of ourselves as direct marketing activists. Angel Aloma of Food for the Poor gave us a powerful reminder of why we should. Nonprofit postal rate hikes and regulation changes are about far more important things than direct marketing budgets – they affect our organizations’ ability to provide services to people in need. Or as Angel shared, they mean having to say “no, I can’t help you” to a family living in extreme poverty in El Salvador. To learn more and take action on legislative issues that affect nonprofits’ direct marketing efforts, go to the DMA’s action site. 3. Big thinking from small nonprofits. Good direct marketing isn’t just for large nonprofits. The conference showed us that innovation abounds in the programs of smaller nonprofits too. Jill Batcheller of the Lincoln Center shared a case study in which her organization was able to reinstate former members who had been lapsed for as many as twenty years at response rates comparable to or better than new donor acquisition, and at a lower cost. By looking beyond conventional recency targeting, Lincoln Center discovered a significant asset in its deep lapsed member file. Likewise, my colleague Eliza Temeles shared a case study in innovative prospect modeling from another organization overlaying online activity among house prospects as a predictor of response in direct mail acquisition. This organization’s in-house model for targeting prospects was even more predictive than a commercial model tested in the same direct mail acquisition effort. 4. Multichannel, multichannel, multichannel.Without a doubt, all roads at #DCNonprofit led to one place: “multichannel.” There was no shortage of case studies on multichannel campaigns presenting a variety of EM-DM-Web-SMS-SM combinations. Peter Genuardi of Giveo reported a significant lift in email results when sandwiched between two SMS messages, leaving more than a few npdmer’s hungry to try an SMS sandwich in their own programs. But for all of the multichannel configuration successes reported, presenters and attendees alike universally acknowledged that nonprofits’ multichannel programs are still very much in beta. The Polaris Project for instance reminded us that multichannel programs don’t spring up overnight as Johanna Olivas reported that it took the organization a couple of years putting out online content before its website became a significant source of list growth. One of the newest perspectives on multichannel fundraising to emerge from the conference had to do with the challenges of measuring multichannel results. And the growing consensus was this: stop trying. Or at least, let it go a little. It’s understandable that “channel of origin is irrelevant” is an unsettling thought for direct marketers though. By definition, direct marketing is one-to-one and attributable. On the other hand, we’re not just doing direct marketing anymore, are we? Komen says … it pulled the funding because of a policy change prohibiting the organization from funding groups under investigation by local, state or federal authorities. Because Planned Parenthood is the subject of an investigation by a Representative from Florida as to how the organization reports and spends its money, it is no longer eligible for funding under Komen’s new funding criteria. Planned Parenthood says ... baloney. Cecile Richards, president of Planned Parenthood says Komen’s decision is politically-motivated and that the organization has been “bullied by right-wing groups.” Others point to Komen’s new anti-abortion, anti-Planned Parenthood vice president as the reason for the decision. As Kivi Leroux Miller details in her post, The Accidental Rebranding of Komen for the Cure, the organization that made pink the new black prepared its donors and constituents for this announcement by doing … nothing. And when the organization did finally begin to communicate with its supporters a half-day into 2012’s worst nonprofit PR disaster so far, the communication did little more than fan the fire further. 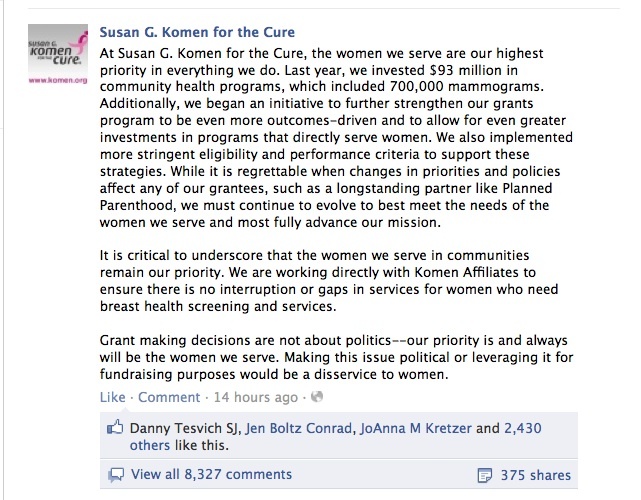 So what was so antisocial about Komen’s handling of this issue? As of Wednesday night, the post had over 2,000 comments, not about batteries. 2. They deleted comments. 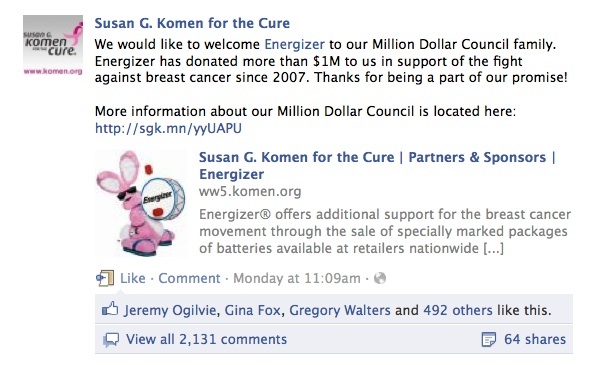 Until they posted their own statement on their Facebook wall they deleted anti-Komen comments. In a medium known for its low tolerance for corporate-speak (i.e. BS), the closing comment that Planned Parenthood shouldn’t fundraise around the loss of breast cancer screening funding because it would be a disservice to women, is ill-chosen, if not nonsensical. Planned Parenthood is, of course, fundraising and constituency-building around the issue because they have a great fundraising program, and an intelligent communications strategy.